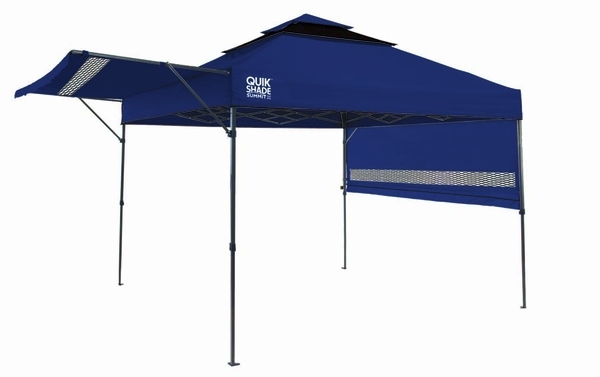 If you need a quality, easy to set up source of outdoor shade for your next event, the Quik Shade Summit SX170 10x10 Instant Canopy with Adjustable Half Awnings will exceed your expectations. The convenient wheeled bag makes it easy to transport to your event location, and set up is easy, with no assembly required. Each unit also includes ground stakes and nylon feet, so the canopy works equally well on a lawn or on a patio. 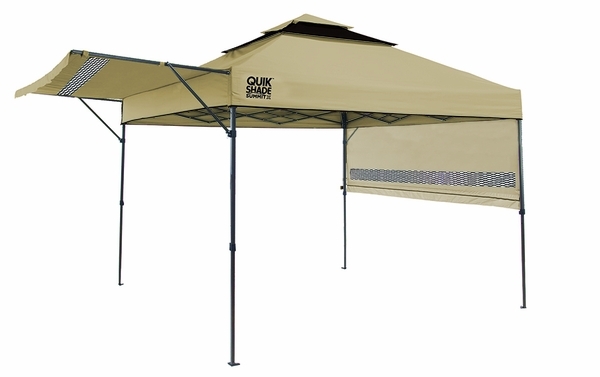 This quality canopy includes a sturdy steel frame for long-term stability and 300D polyester fabric. Use the half awnings as extra protection from sun and wind, or extend them to increase the canopy's shade cover.